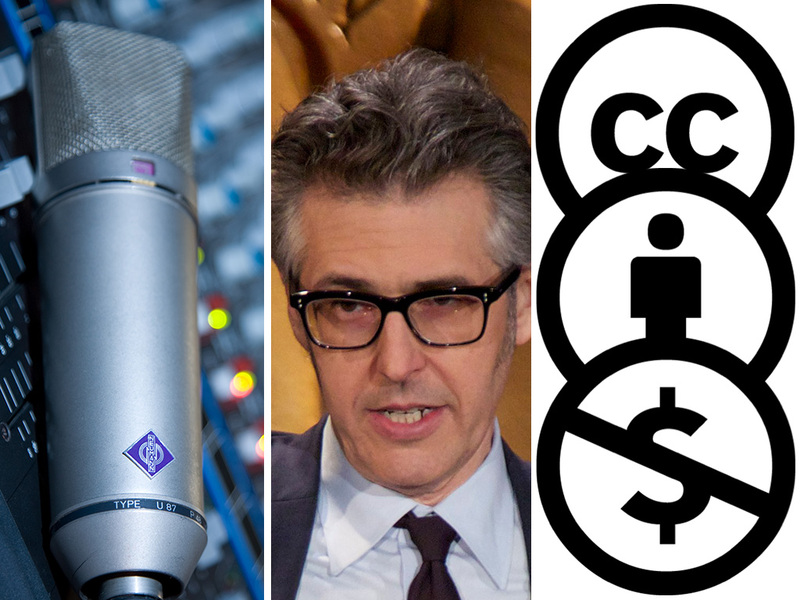 One of the most effective public radio fundraisers ever wants to quit doing pledge drives. That’s the only way I can interpret what This American Life host Ira Glass said to Ad Age last week. “My hope is that we can move away from a model of asking listeners for money and join the free market,” Glass told the marketing trade publication following the big podcasting upfront in New York last Wednesday. It’s hard to imagine anything else Glass could have said that would have been more of an affront to public media’s core identity — not that I necessarily think that’s a bad thing, though former NPR digital strategist Melody Joy Kramer definitely thinks it is. “That made me so sad,” Kramer told me on The Pub, reacting to Glass’s assertion that public radio should join the free market. On this week’s episode of The Pub, we contemplate the notion that public radio’s biggest star evidently doesn’t want public radio to be public anymore. Be in the audience when The Pub records a live show at the PBS Annual Meeting in Austin on May 12! We’ll be talking about ways to expand public television’s audience. Reserve your seats here. We contemplate the challenges and the opportunities involved in expanding public television to new audiences. So all member stations should get NPR programming for free, instead of paying tens, or hundreds, of thousands of dollars, if not millions? I’d really like to know how that business model is supposed to hold up. To be blunt: yes. I don’t have 53 minutes to sit around listening to something I could consume in perhaps 10 minutes in print form. If that’s how you’re going to tease it in print, that’s how I’m going to respond to it. Teases and headlines are not stories. You of all people should know that. I’m not saying you have to listen to the show if you don’t want to, but I am saying you shouldn’t comment negatively about something you haven’t actually paid attention to. I’ll reiterate what I said in the episode, for those who don’t have the time to tune in. It is possible to stipulate which pieces and what kinds of material (audio vs. text vs. interactives) would have Creative Commons licensing. A similar set-up could be used for investigative work, which often requires months of time and costs a lot of money. I’d want this work—often made in the public interest—to receive the widest possible audience. ProPublica does this, and requires anyone who posts the work to adhere to a list of stringent requirements, including placing a tracking beacon from ProPublica on their website. (http://www.propublica.org/abou… This is so ProPublica can say “We reached X number of people on our website, but Y number of people online.” If a unit has foundation funding, this metric is actually quite valuable because it shows impact. I hope this clarifies my comments. Happy to explain more. Thanks for expanding on this in print form, Melody. It’s much more elucidating. Again, I’ll encourage Melody to respond. But I will say that what distinguishes public media from commercial media is its use of public and donor funds. I realize those funds need to be supplemented with business revenue, but public media’s business model isn’t supposed to be sustainable. The public gives you money to do stuff that the market won’t fully support. If you restrict access or use of your products in the name of making your business model sustainable, then you will have defeated the entire point of your existence. I could have mentioned Reddit (open source) or Mozilla (creative commons) or Red Hat (open source) – and I didn’t have time to list all of the business models associated with them: http://en.wikipedia.org/wiki/Business_models_for_open-source_software – but there are ways to make them profitable, particularly if you have different kinds of licenses or offer software as a service. (License: one way for other stations; a different way for other audio and media companies.) Do we want to get into that business? I’m not sure, but it seems crazy to me that every station has to pay for the same proprietary software and are not working together more often, particularly on components that they each need. It’s really Melody’s argument, so I’ll encourage her to respond here. But I have a couple of thoughts. 1) I don’t accept the idea that the only reason PDs like you pay NPR/PBS for programming is because you have to. The stations and the networks are all in this together, and you know that if you stop paying, there will be no shows to air; 2) Even if the networks make the programming free, they can still charge for distribution, and stations still need satellite feeds, at least for the live shows; 3) If stations really did start freeloading and airing shows without paying, maybe networks could make up the revenue by assessing overall dues to member stations instead of fees on individual programs; 4) The problems that CC licensing could create for the station system just further illustrate why the system is ill-suited to the new media landscape. We have no use anymore for middlemen who hold local monopolies on the distribution of other people’s content. Yes, I recognize that without station licensing fees the shows that we all enjoy–even Ira Glass’–wouldn’t exist. That said, we in public media are facing many budget pressures, and the temptation to set our own pricing–if not freeload–would be irresistible. If shaving $50,000 from our NPR dues would net me another local music host, well, get me a razor. And if public radio adopted the PBS model of annual dues, then you’ve got a two-tiered system in which member stations continue paying huge amounts of money for “free” content, but any unaffiliated individual could redistribute it for nothing. I’d flip your final argument to suggest that CC licensing may be ill-suited to deal with the reality of financing a “Morning Edition” or “American Experience.” Without us monopolizing middlemen, the burden of fundraising would entirely fall to producers, and if they thought it was a pain applying for grants and seeking underwriting support, they really wouldn’t care for tracking individual donor renewals. Furthermore, these monopolies help us to raise money for the local activities (cough, news, cough) that make this system what it is. Adam, I love The Pub and am happy to listen to it. It’s so, I don’t know, Public Radio. On the question of pledge drives versus chasing ad dollars, I take the same approach to on-air pitching as you describe at Georgia Public Radio: it’s actually an opportunity to talk about what’s different about public radio, why we do what we do, and our mission. Enough people understand and respond to this to more than keep us afloat. There’s a reason we call it public radio and that’s important to the communities we serve. Thanks Jack! I agree wholeheartedly. I’m bullish on advertising only as a supplement to membership, which I think is the heart of the enterprise. ProPublica does this, and requires anyone who posts the work to adhere to a list of stringent requirements, including placing a tracking beacon from ProPublica on their website. (http://www.propublica.org/about/steal-our-stories) This is so ProPublica can say “We reached X number of people on our website, but Y number of people online.” If a unit has foundation funding, this metric is actually quite valuable because it shows impact. Out of curiosity, I looked up the microphone they refer to as the public radio standard, the Neumann U87. It retails for some $3,000. Well, Shawn said the Neumann is the NPR standard. The most common public radio mic is the Electro-Voice RE20, which is like $450. I found the intro ‘music’ to be incredibly irritating and the announcer not a lot better.